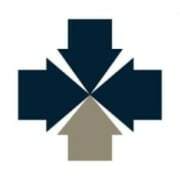 Recently, hospice was praised for being the nation's first coordinated care service. At the heart of hospice are our volunteers! Join our Gateway Family - and be a part of a team of professionals, including Physicians, Nurses, Hospice Aides, Social Workers and Chaplains to provide quality end of life care. There are several ways volunteers can lend themselves to serve patients and families. From providing a listening ear as a companion volunteer; to providing respite for caregivers to go grocery shopping or attend a medical appointment of their own; to managing special projects in our North Hills office, helping 'behind the scenes'; to placing phone calls to bereaved family members or friends. Gateway Hospice serves patients and families throughout the Greater Pittsburgh region - we have a high census in the East and are looking for volunteers to serve their community in Monroeville. We are always looking for new ideas on how to better serve our patients and families, through innovative programs, such as a 'Life Stories' program, or Music Therapy for our dementia patients, or Veterans serving Veterans, or friendly Pet visits to our patients residing in nursing homes. If you have a talent and/or idea you would like to share with us, please do not hesitate to reach out.